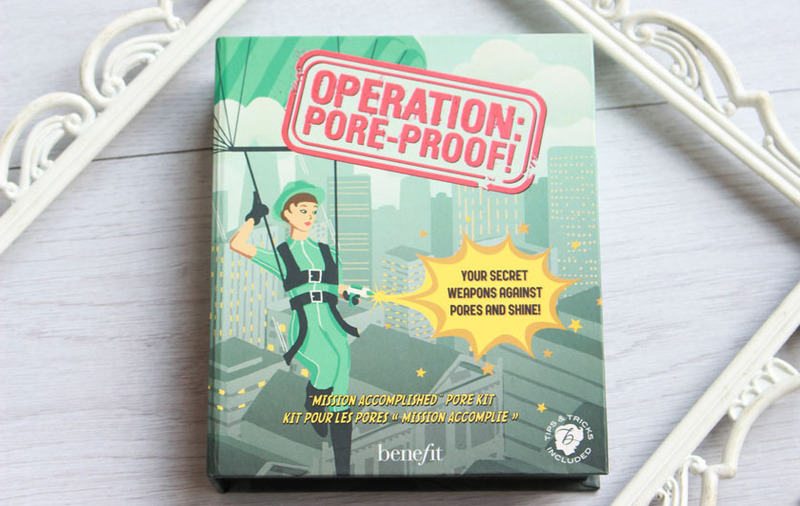 If you follow me on instagram, you might have seen lots of photos of the lovely new Benefit Operation Pore-Proof Kit*(£28.50) already. It is such a fab little set! It's not officially launching till the end of June, but... you can now buy it exclusively from John Lewis! The kit contains five generous minis, including two brand new launches from the brand. For £28.50, you get mini versions of License to Blot (1.4g), Dr. Feelgood Complexion Balm (8g) The POREfessional (7.5ml), Agent Zero Shine (1.5g) and Shy Beam (4ml). You also get a a little brush for applying the powder, but I am not too keen on the shape of it to be honest. If you have oily skin (or just an oily t-zone), visible pores and lots of shine, you will love this selection. 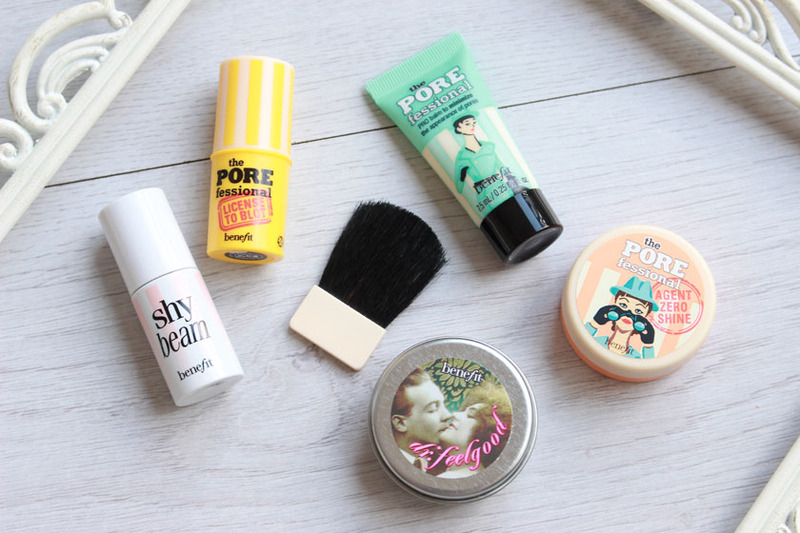 The POREfessional and Agent Zero Shine are my go to combo for dealing with shine and pores. The two new products are lovely too. I reviewed License To Blot here, if you want to find out more and I will probably dedicate a separate blog post to the new matte highlighter - Shy Beam. Perfect for those who like their makeup very subtle. It is exclusive to the kit at the moment. 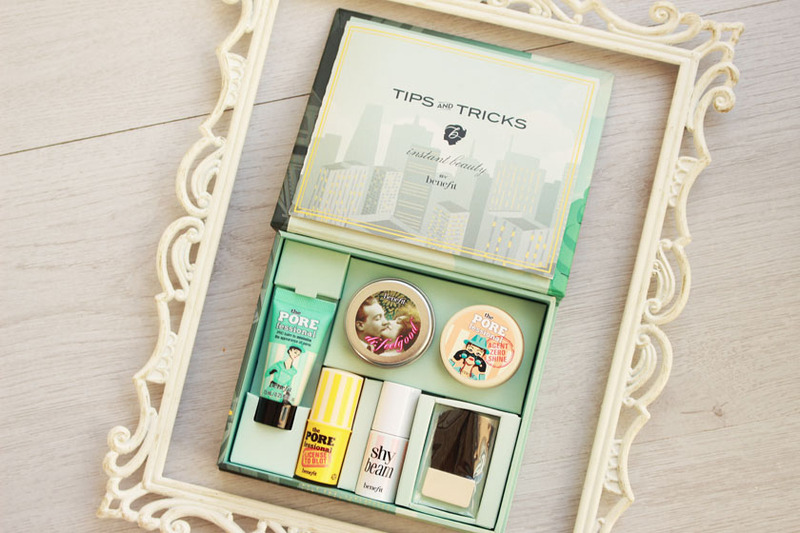 I just love Benefit Kits! They make the best gifts and are great value for money! Operation Pore-Proof is currently available exclusively from John Lewis.